Today, I'm sharing a few new discoveries that you can enjoy if you find yourself dining out on Fridays during the Lent. Like many of you, Michael and I have our favorite "go to" Lenten Friday recipes and quick bites. 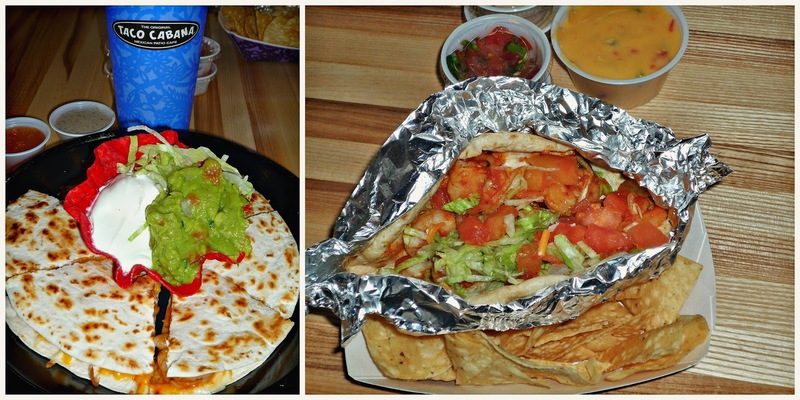 Here's a few more delicious finds that we recently tried! First up is a veg-friendly skillet option from Denny's Skillets Across America menu. I absolutely love their seasonal Cali Avocado Skillet! It's a filling, veg-friendly Lenten option from their Fit Fare menu. You get all this delicious food for under 550 calories, and it contains 20 grams of protein + 8 grams of fiber! 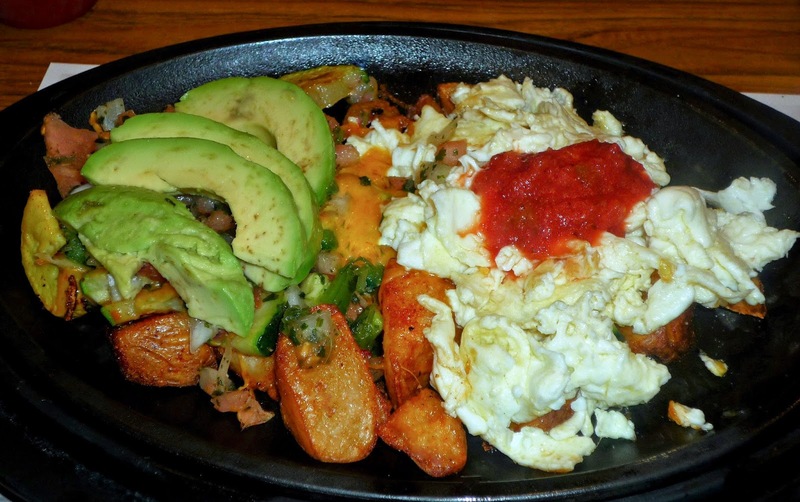 The Cali Avocado skillet contains seasoned red-skinned potatoes, steamed zucchini and yellow squash, and shredded cheddar served on a hot skillet. Then, the skillet is topped with scrambled egg whites, salsa, and avocado slices. This skillet is fantastic, so I hope you'll give it a try! 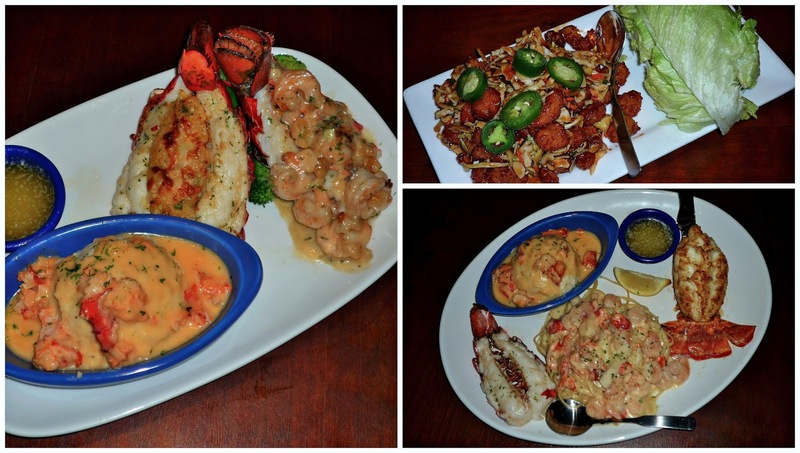 If seafood is more your thing, you're in luck...Lobsterfest is back at Red Lobster! We recently tried a few items on the Lobsterfest menu, along with a new shrimp appetizer. I had the Dueling Lobsters diner -- perfect for someone who just can't decide which lobster they love best. It comes with both a crab-and-seafood stuffed Maine lobster tail and a Maine lobster tail topped with creamy roasted-garlic shrimp. Michael opted for the Lobster Lover's Dream®, an ultimate lobster experience! This platter comes with a roasted rock lobster, a Maine lobster tail, and lobster-and-shrimp linguine Alfredo. To make our lobster platters even more splurge-worthy, we opted for the upgraded Creamy Langostino Lobster Mashed Potatoes for our side dish. Imagine creamy mashed potatoes topped with a creamy langostino sauce...amazing! We started our meal with a new addition to the Seafood Appetizers menu: Crispy Shrimp Lettuce Wraps. This fun appetizer features crispy popcorn shrimp tossed in a tangy soy-ginger sauce. They're topped with sliced jalapeños and served with ice-cold lettuce cups for wrapping. My readers in Texas, Oklahoma, and New Mexico can enjoy a limited-time seafood offering at Taco Cabana. Their popular Shrimp Tampico is back for Lent! It's available in both soft tacos and cheesy quesadillas. Shrimp Tampico is hand-marinated at each Taco Cabana location using a secret-recipe marinade that contains ancho chiles and a blend of spices. Shrimp Tampico is available through early April, so be sure to get by before then if you want to try it! Shrimp Tampico quesadillas and tacos are especially yummy paired with Pineapple Chipotle salsa. Pineapple Chipotle is that latest creation in Taco Cabana's Salsa Especial! limited-edition salsa line. Its sweet-spicy flavor profile pairs perfectly with shrimp. There you have it...a trio of tasty dining out options for Lent! For even more great ideas, be sure to visit my Dining Out Lent Options page on Pinterest. What are your go-to places to dine out during Lent? I'd love to hear them, so please leave me a Comment below! Disclosure: Taco Cabana, Red Lobster, and Denny's provided us with the food featured to facilitate inclusion in this article. All opinions expressed are solely my own.